Northwestern University in Qatar launched the first of five Media Use in the Middle East studies, now a longitudinal effort, in 2013. That effort has yielded five reports covering countries across the Middle East and North Africa, each replete with textured data and analysis. This report offers a five-year retrospective, covering the years 2013–2017. 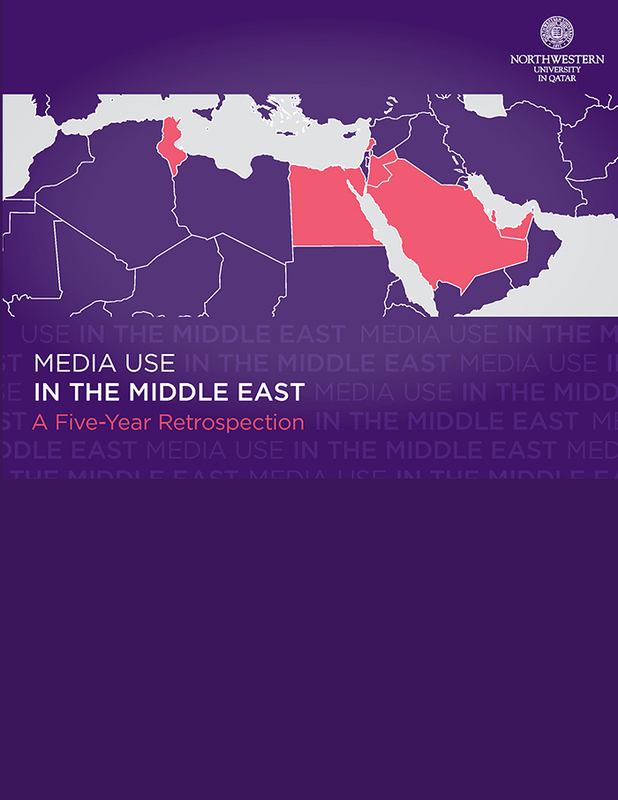 The research, which began in the wake of the Arab Spring, has tracked developments to distinguish between ephemeral, short-term media shifts, and those that are more dramatic. Over five years, there have been nearly 30,000 face-to-face interviews with 5,000 conducted on the phone, covering between six to eight representative countries each year across the Middle East.